Vishal Gumber is the founder of Appsquare, an Australian app development company that creates innovative apps, provides part funding for selected app ideas and also helps app developers get funding through its network of Venture Capitalists and Angel Investors. Social media is going visual and Pinterest has a lot to do with it. Because pictures really do speak more than words – especially in the restaurant business – and there’s a lot you can convey better through a single image than with a whole page of text, you ought to get yourself active on Pinterest right now! 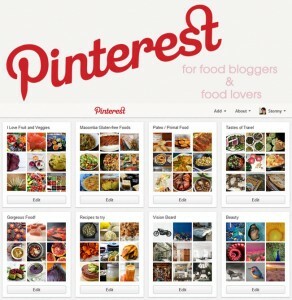 Launched in 2010, with a motto to “organise and share things you love,” the virtual pin-board stands to be the fourth largest and third most popular social media site. Drawing close to 23 million unique visitors monthly, the average time a person spends here is 14.2 minutes. In fact, there are many avid pinners who spend hours searching through ideas, inspiration and hints. There’s more. The website draws more traffic referral to your business; more than Google +, YouTube and Tumblr combined! Beyond this, the virtual pinning playground is proving to be an excellent restaurant marketing tool. Connect with Appsquare on Twitter – @Appsquare_apps – or Facebook – appsquare – or simply through their website – appsquare.com.au.